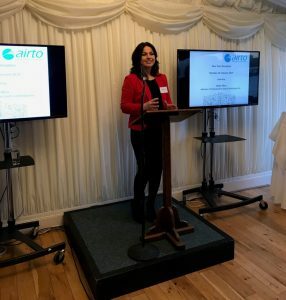 On Monday 28 January 2019, AIRTO held a New Year Reception in the Palace of Westminster hosted by Heidi Allen, the Member of Parliament for South Cambridgeshire. 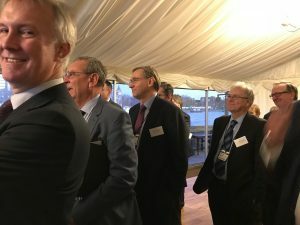 We were delighted to be joined by our members, parliamentarians, representatives from government, industry and allied organisations to network and discuss the role of the UK’s Innovation, Research & Technology (IRT) sector in delivering the modern Industrial Strategy. 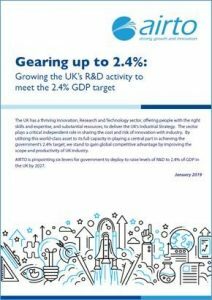 Heidi Allen MP, who has a number of R&D intensive organisations in her constituency said, “Growing R&D is key to the government’s Industrial Strategy and building a Britain fit for the future”. 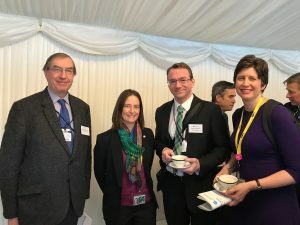 IRT sector organisations provide trusted, safe and validated innovation to the market place via unique knowledge of the Academic, Industrial, Government and Financial sectors in the fields of science, technology and engineering, for the benefit of the UK economy and society. This sector expertise, combined with deep technological specialisation, puts IRT organisations in a unique position to coordinate, collaborate, catalyse actions, and also to act quickly with agility in the support of UK industry. AIRTO is the Association of Innovation, Research and Technology Organisations. Its membership comprises approximately sixty of the principal organisations operating in the UK’s Innovation, Research and Technology (IRT) sector. The IRT sector has a combined turnover of £6.9Bn, employing over 57,000 scientific and technical staff (equivalent to the academic staffing of the Russell Group of universities) and, for comparison, it is significantly larger than the network of Fraunhofer Institutes in Germany both in size and its scope of activities. The sector contributes £34Bn to UK GDP, but consumes 0.3% of government spend! AIRTO’s members work at the interface between academia and industry, for both private and public sector clients. 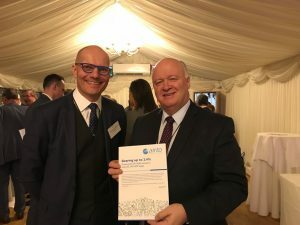 Members include independent Research and Technology Organisations (RTOs), Catapult Centres, Public Sector Research Establishments, National Laboratories, some university Technology Transfer Offices and some privately held innovation companies.